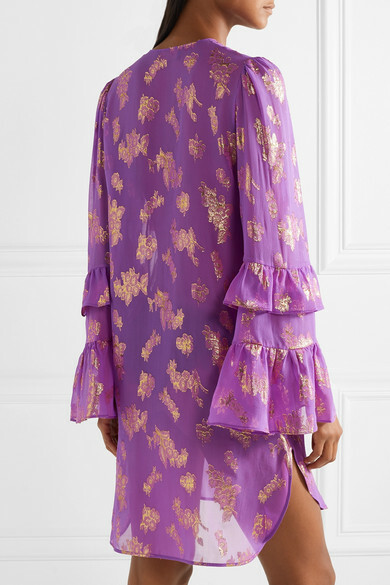 This Dundas mini dress proves that purple and gold compliment one another so beautifully - the designer told us he's a fan of experimenting with color because of how striking certain combinations can be. 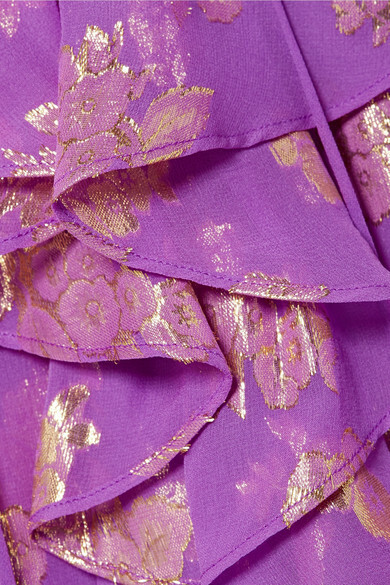 It's cut from semi-sheer silk-blend chiffon that's patterned with fil coupé flowers and has a ruffled lace-up bodice. Style it with metallic accessories. Shown here with: Fendi Shoulder bag, Aquazzura Sandals.